Cumberland Society of Chartered Accountants were pleased to support Dumfries and Galloway Sands at their recent annual dinner. Lisa Murchie, Chair of the Cumberland Society of Chartered Accountants, chose the charity to benefit from the raffle at the evening event held at the Roundthorn Hotel in Penrith which was attended by 75 guests and a wonderful £650 was raised for Dumfries and Galloway Sands the stillbirth and neonatal death charity. Lisa who works for Dodd & Co in Carlisle decided that Dumfries and Galloway Sands should benefit from the raffle because of the support that was given to her good friends Suzanne and Eddie Hewson after the tragic death of their little boy Oliver. Thanks again to all the local businesses who donated prizes for the charity raffle and everyone who attended and supported the evening. 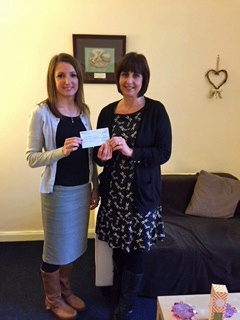 Photograph shows Lisa Murchie, Chair of Cumberland Society of Chartered Accountants, presenting the cheque to Susan Dalgleish from DG Sands. 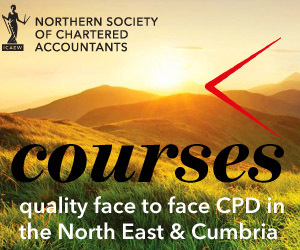 The Cumberland Society of Chartered Accountants is a branch of the Northern Society of Chartered Accountants (NorSCA) which represents 4,000 ICAEW members and ACA students working in business and the finance profession across the North East of England, Teesside, Northern Yorkshire and Cumbria. We have been assisting businesses in the north of England and producing chartered accountants for over 130 years.